Each luxurious suite at Comfort Suites Highlands Ranch Denver Tech Center is fitted with excellent amenities to ensure our guests are comfortable. Our suites are configured with a choice of one king bed, two queen beds, or multi-room suites that are all equipped with a sofa bed. We offer several specialized accessible suites with features like accessible tubs, visual doorbell alerts, visual alarms, roll-in showers, and visual telephone alerts. 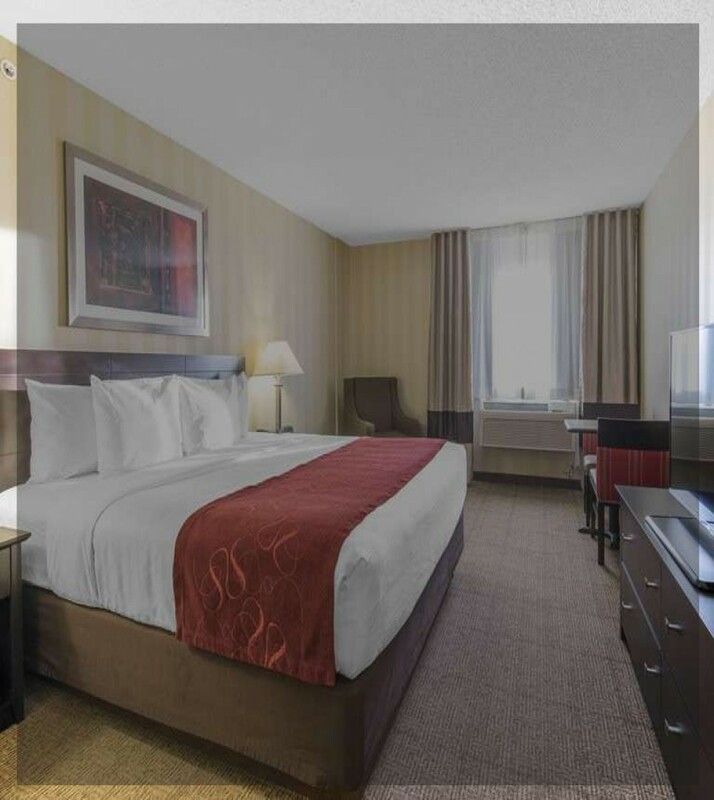 Additional conveniences include complimentary WiFi, wireless printing, laptop safes, charging stations, modern décor, comfortable bedding, microwaves and refrigerators, and in-room coffee. Comfort Suites Highlands Ranch Denver Tech Center is located near C-470 and I-25 on 7060 East County Line Road, in Highlands Ranch Colorado. We are near top attractions like the Broncos Stadium at Mile High, Historic Downtown Denver, the Denver Zoo, shopping, gourmet restaurants, and theme parks. As your host, the Comfort Suites Highlands Ranch Denver Tech Center provides a host of services and amenities like a hot full breakfast buffet served daily, complimentary WiFi, Complimentary car, truck, bus, and RV parking, and a business center with copy, fax, and print services. We also provide express check-in and check-out, and we offer 864-feet of versatile meeting and banquet facilities as well as catering, and dry cleaning services. Complimentary on-site self-parking is available to guests. Children are welcome at our hotel. There is no capacity for extra beds in our guest suites. ADA Defined Service Animals are welcome at our hotel. We are also pet-friendly! Pets are welcome for an additional fee of USD 15.00/night, per pet. With a Pet Deposit of USD 50.00. Maximum, 1 pet up to 50 lbs. Dogs only allowed. This property is privately owned, and the management reserves the right to refuse service to anyone and will not be responsible for accidents or injury to guests or for loss of money, jewelry or valuables of any kind. Once checked in, no cancellations. All linens are inventoried: missing or damaged linens will be charged. Any damages to hotel property will be charged an additional fee upon assessment. Any damages to hotel property will be charged an additional fee upon assessment. This is a NON-SMOKING facility. Guest acknowledges that smoking is not allowed in the guest room or within the hotel facility. If anyone in guest's party smokes in the guest room, guest hereby expressly authorizes hotel management to charge credit card the amount to reimburse the property for the additional cost of cleaning guest room. If your reservation has been paid in advance or you elect to pay by cash, a security deposit via credit card will be required upon check-in and will be charged in the event that damages outlined herein occur. A valid photo ID and credit card are both required at check-in. The hotel takes a credit preauthorization but does not accept cash deposits.